Ordinary people doing small things for the love of animals — that’s really who and what make up any animal welfare organization. Our group has seen what astounding things can happen, what massive triumph over death and pain and suffering can happen, when many small deeds add up to make an enormous difference for the lives of local homeless pets. Every tiny bit of publicity and every dime we collect allows another adoption to take place, medical bill to be paid, and another animal on death row to be rescued, housed, and fed. Each hand that helps us, even for an hour, allows us to do a little more and lightens the load for our core volunteers. So please, don’t be afraid that volunteering requires lots of time or commitment, or will cause you to witness suffering that you can’t bear to see. That’s not true! Please see the wide variety of things you can do to help. You can be proud that you are part of the solution to save hundreds of local animals in need! Easy, Quick, and FREE! Make it a habit to use GoodSearch.com and iGive.com for your Internet searches and shopping. They are free and easy, and go a long way to help us raise funds. Almost as Easy, Still Free: Make it a habit to donate your old cell phones, toner cartridges, and ink jet cartridges to us. We raise funds by recycling them. Good for the environment and the animals! We can also use items for an upcoming yard sale. Contact us at wjvolunteers@yahoo.com or call 856-845-3860 for more details. Collect Discards for Us: Besides donating your own used cell phones, ink cartridges, and yard sale items, you can take it a step further and collect these items for us at your workplace, school, church, or community. We will be glad to give you collection boxes, fliers, and support. Pet-sit at PetSmart: We need volunteers to transport a rescued pet to PetSmart on the weekends and sit with him/her there for publicity. A few hours once a month would be great! Help with a catalog fundraising sale: Each year WJVA does several catalog fundraisers such as Yankee Candle, Gertrude Hawk candies, Gourmet Popcorn, and Joe Corbi. Buy a few items, sell a few items, or help us supervise a sale. These are short and simple, but we could really use help with them! We also welcome you to hold a fundraiser party for us for things like Tupperware, PartyLite, and Premier Jewelry. Help with other special events: Donate an item or gift basket for an auction; staff a table at a craft fair or animal welfare event; walk in a charity walk or parade (with or without a dog); help organize an event; or sell tickets for things like Casino Bus trips, our Pasta Social, or a bowl-a-thon. Help exercise/train rescued dogs at a local kennel: Contact Iris at 856-728-3004 for more information. The most direct way to save a life is to foster a homeless pet. Fostering a single pet really saves multiple lives. All of the animals rescued by our group are animals that are NOT TAKING UP A CAGE IN A CROWDED SHELTER! Fostering thereby saves both the animal being fostered and the animal sitting in its cage at the shelter. 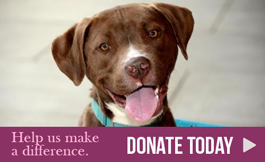 Fostering also helps us save money on kenneling expenses, thereby allowing us to save more lives. Each fostering situation is unique. 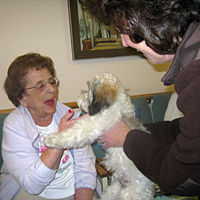 Each animal requires customized care based on its age, level of training/socialization, and health. WJVA will support each foster home with animal care and publicity for the foster based on its needs. We are behind you 100%! We can always use foster homes for adult dogs and cats, and especially for newborns, seniors, and injured animals. Short term and longer term situations available. THINK YOU MAY WANT TO GIVE IT A TRY? Please complete the Pre-foster Questionnaire and return it to WJVA. Click here for the Word (.doc) version of the form; click here for the .pdf version. We will contact you shortly to discuss what’s right for you!